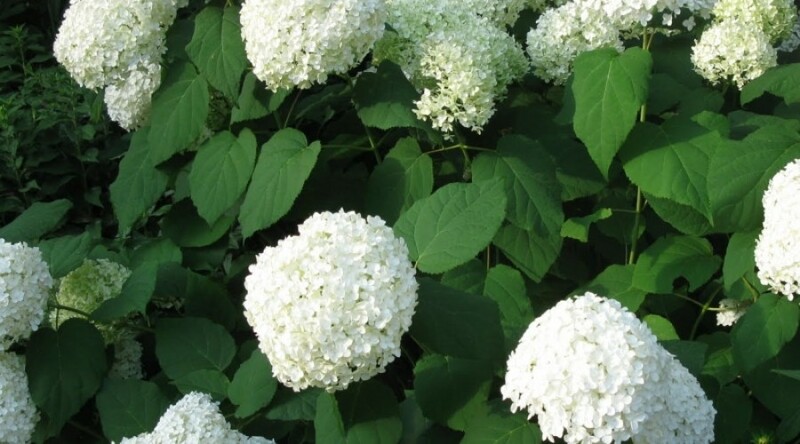 A rounded shrub with glossy dark green leaves and large round clusters of cream flowers in summer. Height 2.5m. Spread 2.5m. Flower colour Cream. Flowers from July to August. Deciduous.